Kara made some amazing Macaroni and Cheese tonight, and I just happened to have another wine sample to review, so I figured I’d pair the two. Kara used Gruyere and Cheddar in this bad boy. Yum! 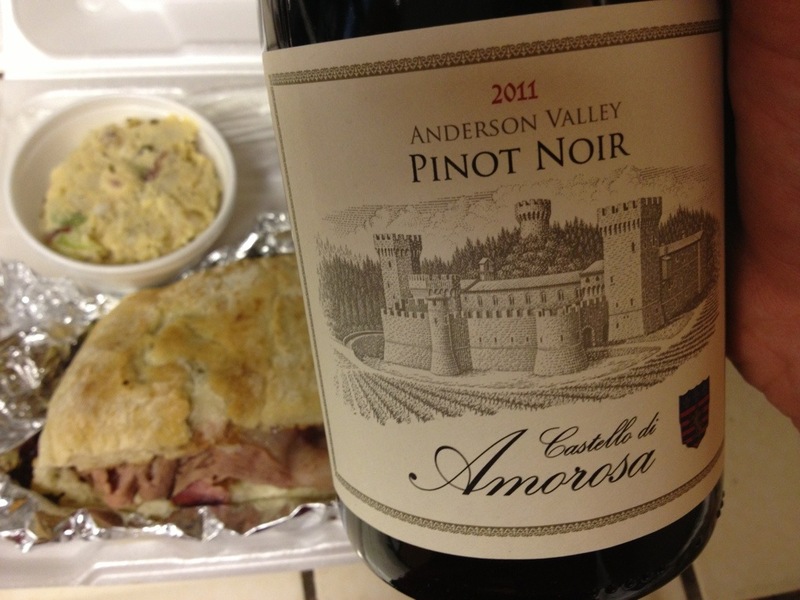 The Castello di Amorosa 2012 Mendocino County Pinot Grigio consists of 100% Stainless Steel Tank-Aged Pinot Grigio. It comes in at 14.5% alcohol, and is available at the winery (as well as in their extensive online store) for $21. Color: Very pale yellow. Think of the color of hay. Nose: Massive amounts of honeysuckle (maybe due to the 3.8 g/L of residual sugar) create a nice backdrop for the green apple and honeydew fruits. The nose isn’t overly sweet. There are plenty of wet rocks to balance everything out. Taste: There is a surprisingly nice petrol note to this wine which provides for a very fun, viscous mouthfeel. 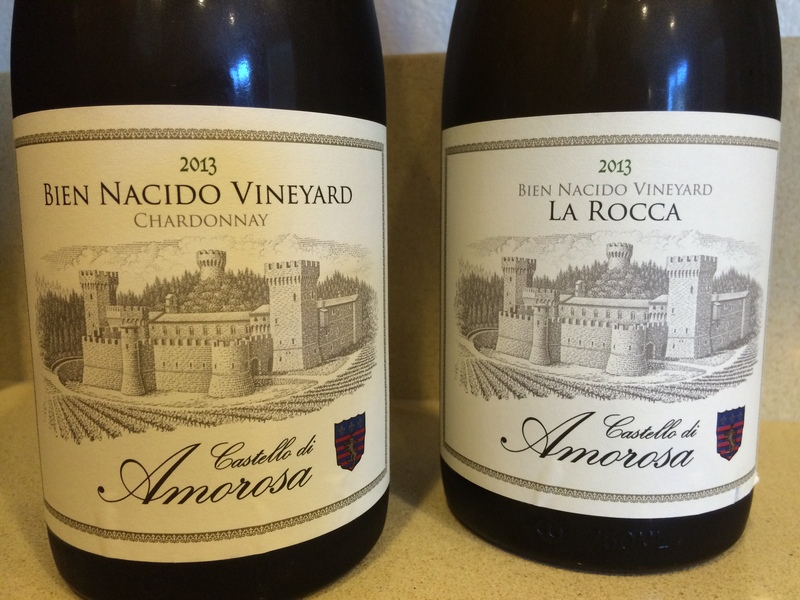 As with most Pinot Grigios, there is a brightly acidic backbone to this wine that delivers a variety of citrus fruit flavors of lemon and lime zest. There is a nice combination of honey and minerality at play here too. Score: I get it. 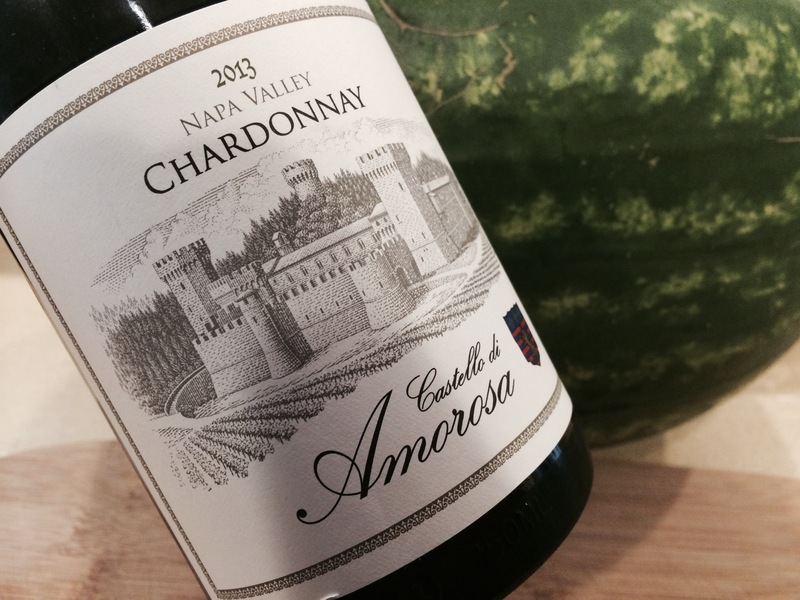 Castello di Amorosa makes wines consisting of mainly Italian varieties of grapes, and no self-respecting “Italian” winery would ever label a bottle as “Pinot Gris”, but… This is not one of those ordinary, 20-dollar, flat-lemon-lime-soda-tasting, Italian Pinot Grigios that have been taking over your local super market in recent years. This drinks like one of those rich, subtle, and intriguing Oregonian Pinot Gris that I have been grooving on in recent months. Stylistically, these guys have done everything right with the grape they call the “Grey Pine”. 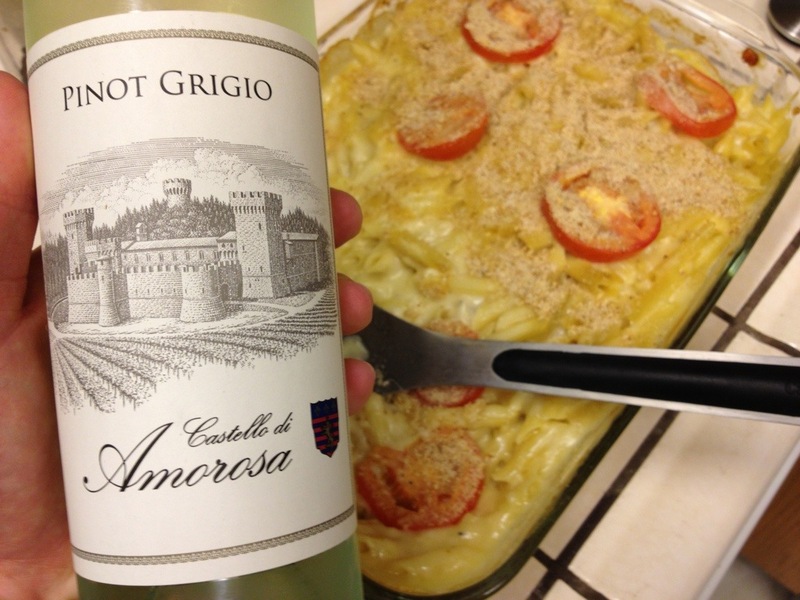 At 87+ points, you may want to introduce this Pinot Grigio to your favorite housewife. With the Food: Kara’s Mac n’ Cheese is killer! Creamy. Cheesy. Zesty. 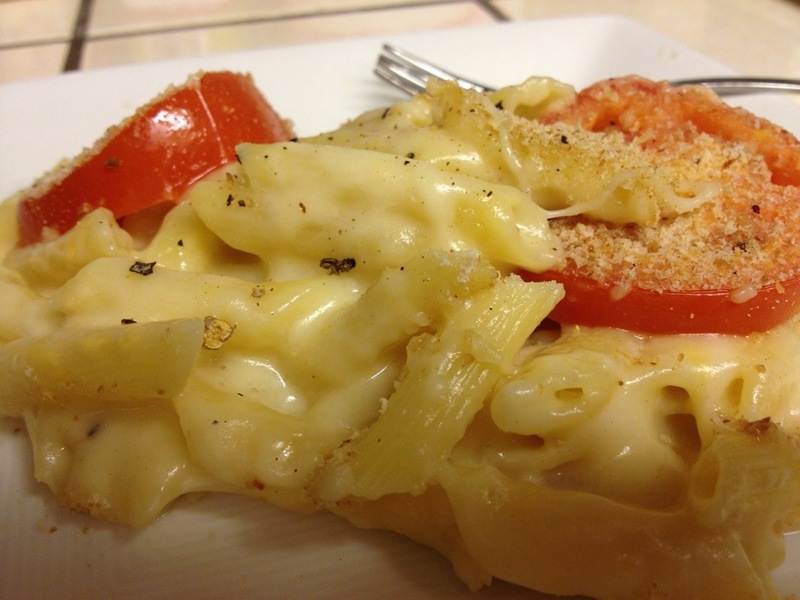 And the combination of the soft pasta and the crunchy bread crumbs makes it a textural sensation. When paired with the Pinot Grigio the flavor of the dish transforms to that of a pear, walnut, and gorgonzola pizza. Fantastic! What’s your favorite Pinot Gris/Pinot Grigio? Leave a comment, and tell us about it. 1. 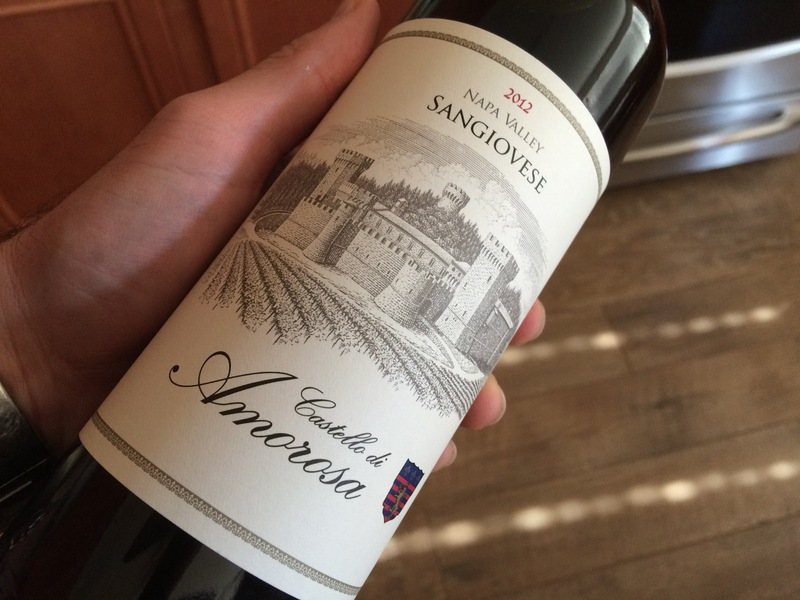 This wine sample was provided by Castello di Amorosa for review. Click here to check ’em out. 2. I bought this tri tip sandwich from Trail Dust Barbeque. Click here to check THEM out. 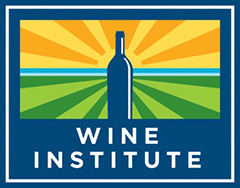 What is your favorite destination winery? Leave a comment, and tell us about it.